We soon discovered that our backyard is not only good for our own farm animals but also home to hawks, eagles, and a neighbor bird dog. 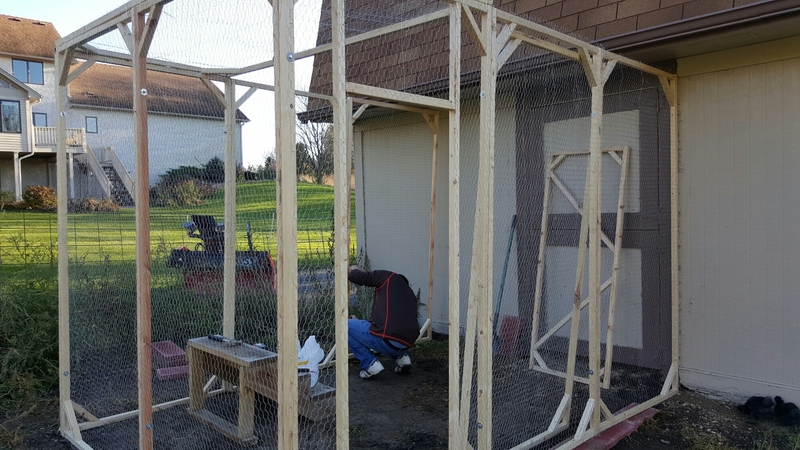 So we took a weekend and built a modular chicken run. 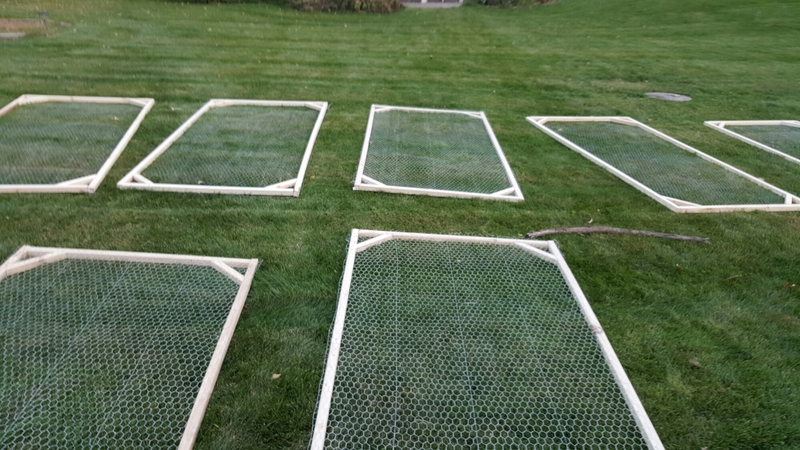 I am not sure how big to make it so we are making it modular to add or take sections out as the chickens get bigger.